What is this pastor appreciation book about? Do you want to understand your pastor better? Sometimes it's hard to crack the surface of your pastor. We're not really sure what he is thinking. How does he really feel? We hear him talk... a lot. But what's behind his words? What drives him? What makes him sad? What will he fight for? More personally, what does he think of us, his congregation? What are his frustrations with our church? What is he excited about? Your pastor really isn't hiding anything from you. He would probably answer your questions if you asked in a way that put him at ease. But there are some things about being a pastor that your pastor doesn't really want to talk about. So you won't get the wrong idea. There are things about being a pastor that are incredibly challenging... things that your pastor really doesn't like to do. But he won't tell you that because he doesn't want you to think he doesn't enjoy being a pastor - your pastor. So you won't think less of him. Your pastor thinks things, feels things, and even does things that he doesn't necessarily want you to know about. If you knew, you might think of him as weak or unrighteous... at least that's what he thinks. So why am I telling these secrets? So you won't get the wrong idea about your pastor. There are things about being a pastor that are incredibly challenging... things that your pastor really doesn't like to do. I believe you need to know these things so that you can be an encouragement to your pastor, so that you can pray for him, and so that you can come along side and help during times of difficulty. So you won't think less of him. Your pastor thinks things, feels things, and even does things that he doesn't necessarily want you to know about. But I believe that if people knew about your pastor's humanness they would better identify with him, better trust him, and better follow. This is an ebook. It is available for download only. This is not a book that I ship to you. Why do pastor's kids act like they do? Is our pastor thinking about leaving our church? What unique burdens does my pastor's wife carry? Why doesn't my pastor's wife never wear anything new? What's a pastor got to worry about? Does my pastor ever struggle with his faith? What Does This Pastor Appreciation Book Reveal? 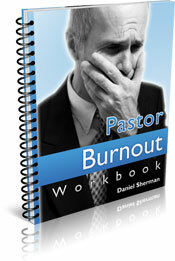 Do you know what your pastor's greatest fear is? Do you know how many friends your pastor has? Do you know how your pastor feels about you? How is your pastor doing financially? What does criticism do to your pastor... to your pastor's wife? All of these questions are answered in the book. As an introductory price, I am charging only $17.00 per book. Once you purchase the book, I'd appreciate your feedback. Use the form below to let me know what you think of the book. 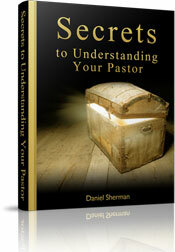 Share your thoughts about the Pastor's Secrets Book. Enter Your Title: Something Like, Great Book, Needs Improvement, Loved It! Submitting your opinion is easy. Just type away and share your thoughts. It doesn't have to be long. Just tell us how you feel about the book. Click on the titles below to see the opinions of people who purchased the book. It is a great book which would improve pastor congregation relationship. 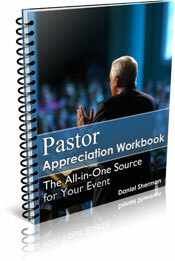 In addition to this pastor appreciation book, take a look at my pastor appreciation workbook.